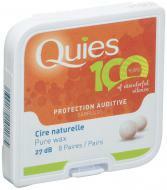 The famous Quies wax ear plugs from France are cotton-wrapped, malleable ear plugs. Roll these wax balls in your hands to soften them up and then insert one into each each for a perfect custom fit. No other ear plugs works as nicely as this, and they are reusable to your liking. Heros Chiropody Foot Sponge & Scrubber will be the best foot scrubber we'll ever use. Made in Holland, this amazing piece of porous material is actually a pure raw glass product to which carbon and hydrogen sulphide is added during the manufacturing process. You're sure to save lots of money on those expensive pedicures. This is a must try for summer or anytime of year! Quies Wax Ear Plugs from France. This is a "masterbox" of 12 individual boxes. Each box contains (8) pairs of ear plugs. 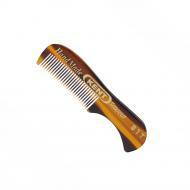 Made in France! Roll these balls of wax between your hands to warm them up and then insert into each ear for a perfect, custom fit, every time. Heros Chiropody Sponge Master Box of 12! A great deal! Borotalco Talcum Powder: The Italian powder that started it all. 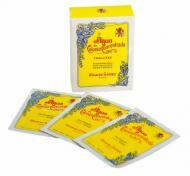 Soften and refresh your skin, linens and bath towels with this clean, pure powder. 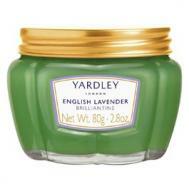 Naturally scented with lovely floral oils. Plastic container with a shake top. 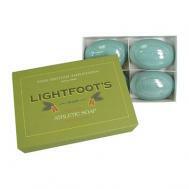 Lightfoot's Pine Soap in a beautiful gift box, four bars per box. At one time only available in private clubs, Lightfoot's Pure Pine Soap is now the soap of choice for the discerning gentleman or lady at home. 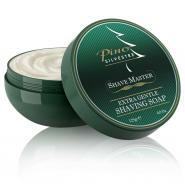 The aromatic freshness of the pine forest is the perfect skin freshener after any athletic activity. 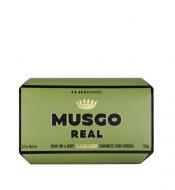 The Musgo Real Soap-On-A-Rope in the Classic Scent, from Portugal. 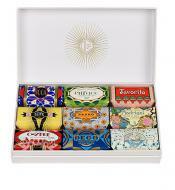 Beautifully packaged for the perfect men's gift. Helan Vetiver & Rum Spray Deodorant uses natural ingredients which prevent odor without altering the healthy perspiration of the body.